Camera wise, you have dual cameras on the rear in a wide-angle and telephoto configuration. Both cameras are 12MP shooters with the wide-angle camera rated at an f/1.75 while the telephoto is a little slower at f/2.6. There is OIS (Optical Image Stabilization) built-in as well. For the front facing selfie camera, you have an 8MP f/2.0 shooter. 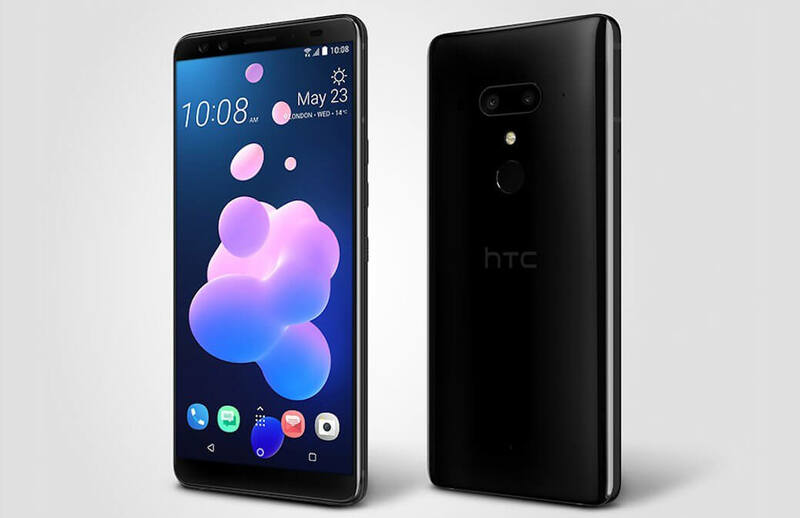 HTC claims that the rear camera achieve a DxoMark score of 103. That is shockingly good and follows up on the cameras of the U11 from last year. You won’t find wireless charging on the HTC U12+ but you will find Fast Charging support for the 3500mAh battery that is built into the chassis. Charging is done via the USB-C 3.1 port at the bottom of the chassis. That chassis also has foregone the 3.5mm headphone jack and it is IP68 rated against water and dust intrusion. You have a fingerprint scanner for security and, of course, have the HTC Edge Sense, version 2 now, on the side of the phone. Pre-orders for the phone are now open with shipping of the phone happening on June 7th.